Augmented Reality (AR) and Virtual Reality (VR) have been usually addressed as two separated worlds and recent studies try to address the problem of merging the AR and VR applications into a single “environment”, providing a system that relies on both paradigms. The constant release of new hardware interfaces for both wearable AR and Immersive VR opens up new possibilities for the gaming area and many others. However, even if there are researches that explore the usage of AR and VR in the same application, videogames are deployed for one environment or the other depending on their strengths and flaws and the type of experience they can offer to the player, in order to exalt the peculiarities of the chosen medium. A novel approach would be to provide a multiplayer system that enables the users to play the same (or similar) experience through either an AR or VR interface: the player could freely choose the interface, based on several factors such as hardware availability, environment, physical limitations or personal preferences. 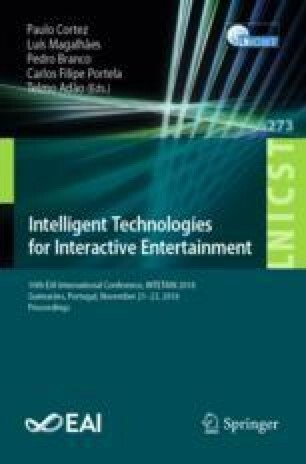 In this paper, a preliminary study on a multiplayer game system for both AR and VR interfaces is proposed. A chess game experience is provided and a comparison through a System Usability Scale (SUS) questionnaire allowed to establish if both interfaces provided a satisfactory game experience and to highlight both hardware limitations and further interface enhancements.